It’s that time of year when our attention turns to some of the US ultras taking place. While the Aussie season ramps up properly in a few months time, the US while in the midst of summer is ramping up right now with Western States the first cab off the rank. It’s fair to say that there were a lot of disappointed Aussies when the Western States draw was made, but one lucky runner heading over there, and indeed to attempt the US Grand Slam is Mike Le Roux. 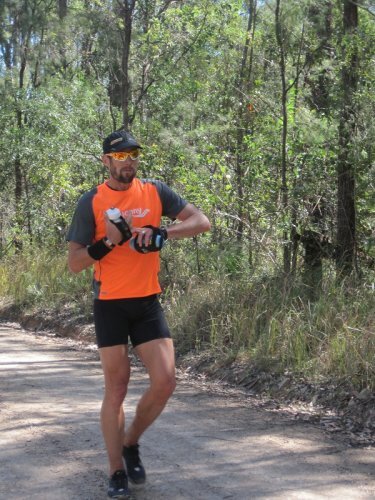 As the current 100 mile trail record holder in Australia (15:38), and an Ultraman World Champ, Mike is probably one of the best placed Aussies to have a crack at this race, as well as the wider grand slam. 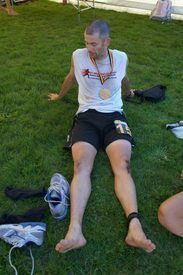 We caught up with Mike to understand a little more about his plans and training for the four big 100 milers that the US has to offer. How has the training been in the lead-up Mike, we see you’ve been knocking up some pretty big weeks? Training has been going extremely well, and yes I had a great time with Dave Eadie last week where we managed to knock off around 230kms, including a 10-hour run. Training for me generally consists of finding as much vertical as possible, quick 20km runs done at sub 4min km pace and then the longer slower stuff. Each session has to have a purpose, be it getting the long stuff in, the climbing or the speedwork. There’s no room for junk kms ticking over at a comfortable pace. Training for all four however is tough as each race has its own unique characteristics. Some will be hot, some cold and then there is altitude to consider too. In a way it’s difficult to know how to taper ahead of the grand slam as each race (bar Western States) is almost like your last long run before the main event a few weeks later. I am however in a great place training wise and have done pretty much everything I wanted to achieve thus far. Mike on his way to smashing sub 16 for the 100 miler at Glasshouse. What are your goals for the slam? The first goal has to be to finish all four. Yes I do have times in mind for each of the races, but there’s no point going out hard at Western States to bag a great time, only to fall short in other races. If pushed I’d say the first goal at Western States would be a sub 20 hour finish, but if I have to back off for any reason to save myself for the other three, then I’m prepared to do that. Likewise if things go well during the race and I’m feeling good, I will push on – but not at the expense of the other races. You were one of the lucky ones for the Western States draw, how did that come about? Initially I was one of those who didn’t make it through the actual draw, however I was lucky enough to receive an email the day after informing me that I had been given a place at the discretion of the race director. Each year there are a number of places that are reserved for this kind of thing, and I think with the lack of overseas competitors drawn out, there was an emphasis placed on allocating some more spots to non-US runners. It’s obviously a great thing for me personally, but it’s also hard on those who didn’t get drawn out. It would be great to see another large Aussie contingent head out there again in future years. Which race are you looking forward to most from the four? While they all offer unique aspects to 100 mile racing, I think it would have to be Western States. There’s so much history and heritage associated with that race that it’s very hard not to choose it as number one. That and the fact that it’s the first one I’ll be attempting means that I’ll be extra pumped on the start line. What are your plans when you return from the US? Anymore races in the pipeline? It’s hard to say right now as I’m 100% focused on the Grand Slam, where I’ll be spending the best part of three months in the US. However when I return in mid-September, there will still be lots of Aussie racing on the go too. I’m really keen on Andy Hewat’s Great Ocean Walk, or maybe the GNW 100 miler. With the heat of GNW, I think I’ll be really well suited to that. However it all depends on what kind of state I come back to Australian in after the big four in the US. We’d like to thank Mike for his time and wish him the best of luck for his Grand Slam challenge. Another man hitting the plane due east in a few weeks time is Dave Eadie as he attempts another of the classic US races, Badwater. At 217kms and facing temps regularly over 40 degrees Celsius, this one has to rank as one of the tougher races going around, where dealing with the heat is the single biggest factor affecting competitors. Like Mike, Dave is another man of pedigree on the Aussie running scene, with a string of achievements to his name over te last ten years or so. Dave is very much in the Brendan Davies mould of runners, the kind of guy who could smash out a 10km in super quick time, yet be equally as comfortable on the mammouth 240km C2K. How’s the training been Dave? How have you structured your plans? I’m moving along nicely at around 160kms a week right now. Balancing it all with work and family can be tough, but I set myself some realistic goals to ensure that I will make a good showing of it over at Badwater so I’m really pleased with how things have gone so far. In terms of training structure, I focused heavily on speed work for the first 6-8 weeks of my plan and have now built up the mileage well. I’m running in the Gold Coast 100kms this weekend, which will be four weeks out from the race. Normally I wouldn’t start my taper four weeks out, but this is how it’s worked out. You’re reigning champ at the GC100km, how do you intend to approach the race? This is obviously just a training run for me, so it’s a good chance to try a few things out ahead of Badwater and iron out any issues too. Of course, I won’t be going all out for this one as I need to keep my eyes on the prize somewhat. I’ll probably set out at around 7hrs 30mins pace and see how I go at that. If I feel good I’ll push on, but if not I can always ease back a little. 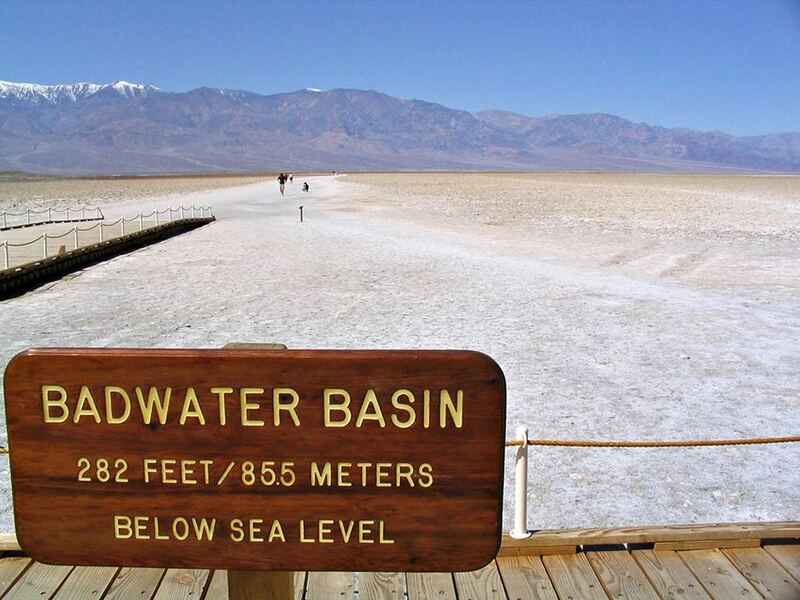 Badwater is known for the heat. How are you preparing for this? It’s very hard given that we’re in the Aussie winter right now, so completely the wrong time of year in terms of preparation. Speaking to Jo Blake, he advised me to try Bikram Yoga, but again it comes down to a time issue. For the most part I’ll be spending the weeks leading up to the race in a sauna, with the goal of building up my tolerance that way. It’s not ideal, but it’s the best way I can prepare for this. On the day anything can happen, but it’s how I can adjust and prepare for these issues that will determine my time. I did have the chance however to spend a week up in Cairns with Mike Le Roux. It was great being able to get out there everyday without the pressures of work and just run in the humidity up there. Admittedly its a different kind of heat compared to Badwater, but every little helps. We managed to knock of 230kms that week, so it was excellent preparation for me. Speaking of time, have you a goal in mind? I think Jo Blake holds the best Aussie time of around 32 hours. Naturally my goal is to try to beat that, but if I’m honest, I’ll be shooting for a sub 30. Of course, if things start to go downhill I’ll need to readjust that and just make sure I finish – it’s a long way to go for a DNF! Starting in the last group at 10am is going to take some mental preparation too. It’s both good and bad. Bad in that I’m used to starting these races early like we do in Australia, but good in that the slower groups start first and it gives the faster group something to aim for. Typically, races start with everyone on the start line together and if you’re a front-runner you could end up finding yourself on your own for significant periods of time. Starting later means I’ll have a chance to hopefully work my way through the field. Enjoy america and good luck guys!